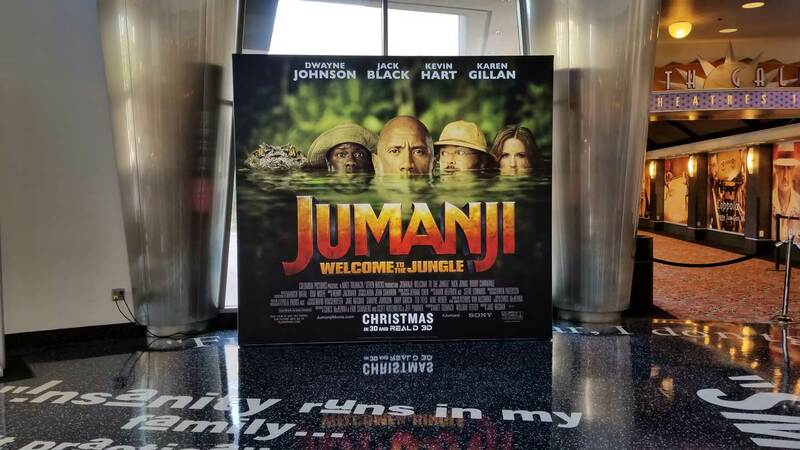 Jumanji: Welcome to the Jungle is an adventure comedy that is the sequel to the 1995 film Jumanji. The franchise is based on the children’s book by Chris Van Allsburg. The new film pays tribute to Robin Williams, the star of the original. This board game found in the first movie is transformed into a video game that four young teens play. These four teenagers are transported into the video game where they must win the game to go home. The film stars Jack Black, Nick Jonas, Bobby Cannavale, and Dwayne Johnson. 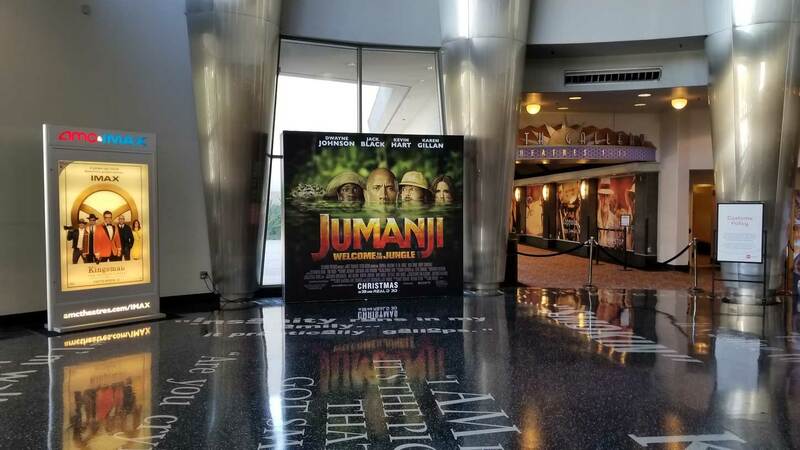 Olson Visual created a wonderful backlit graphic using their T3 System for Jumanji: Welcome to the Jungle. Check out these images of our work.